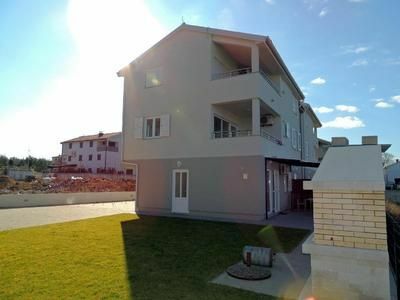 This nice furnished apartment is situated on 1st floor in an apartment house in Malinska, 250 m away from the pebble beach and 500 m away from city center, grocery shop and restaurant. Apartment consists of 2 bedrooms, living room with kitchen and dining room and bathroom with shower. You can enjoy a beautiful sea view from the balcony. TV sat, WiFi and air conditioning are on your disposal. Pets are not allowed. - General: once per person Costs amounting to 11 EUR (Mandatory).